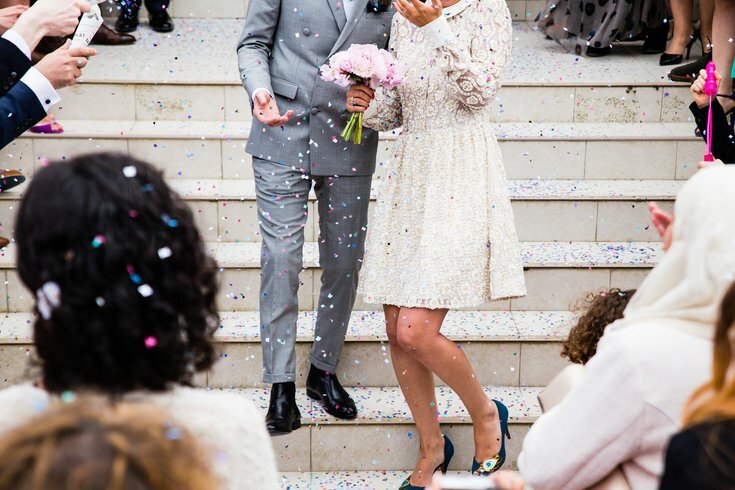 For those in their late twenties and beyond, summertime means the height of wedding season, and there are a few fatal mistakes you must avoid: don’t buy outside the registry (unless its cash), don’t bring an uninvited plus-one, and don’t wear white no matter how good you look in it. Even if all the weddings start to blend together after a while, more and more couples are making painstakingly detailed choices to make sure their special days don’t fall prey to some of the most painful nuptial cliches -- i.e., crappy music. The staff at FiveThirtyEight asked readers last year for their favorite songs for weddings, thus establishing their Ultimate Wedding Playlist. From these findings, FiveThirtyEight this year has rounded up what appear to be the most banned songs across the board for many marrying couples. After talks with two dozen DJs who have worked upwards of 200 weddings, it was revealed that “The Chicken Dance,” quite possibly one of the first modern songs to ever walk that fine line between being quirky and making you want to light yourself on fire, was the most banned, with 23.1 percent of weddings saying nay to the song and its accompanying jig. The second most banned is DJ Casper’s “Cha Cha Slide” at 22.5 percent; Macarena comes in third with 17.6 percent. Rounding out the top five are the “Cupid Shuffle” and the one-and-only “YMCA” from your favorite politically incorrect 1970’s disco group, the Village People. Other artists getting banned include Taylor Swift with “Shake It Off,” Justin Timberlake with “SexyBack,” and Nelly with “Hot in Herre.” Check out the full list -- which is longer than you’d think -- here. In some strange twist of sanity, Queen made the list with “Bohemian Rhapsody.” If you have marrying friends who banned this musical masterpiece from their weddings, listen to it below in an act of defiance and ever-lasting love.